At Napa Valley Pediatrics, our team consists of two experienced, compassionate pediatricians and one well-skilled nurse practitioner. Our friendly, nurturing staff members take pride in assisting the team to provide personalized pediatric care that you and your family deserve. We understand you have a choice of pediatricians in the community and we appreciate the opportunity to meet and exceed your expectations. Dr. Victoria C. Morgese is a co- founder of our clinic. She has been practicing pediatrics in the Napa Valley since 1993. She attended Loma Linda University School of Medicine in Loma Linda, CA where she also completed her pediatric specialty training. Prior to attending medical school, she received a Bachelor of Science degree in Nursing and worked for several years as a Registered Nurse. Dr. Morgese is a Board Certified pediatrician, Fellow of the American Academy of Pediatrics, member of the Napa County Medical Society, and member of the California Medical Association. She has been the co-chairman of the School Health Committee for the last approximately 10 years, has experience on the Board of Directors for the Napa County Medical Society, and is the director for the Healthy for Life Program. She has been director of the Obstetrical/ Pediatric Department of the Queen of the Valley. Prior to moving to Napa, Dr. Morgese worked as a pediatrician in San Bernadino, California. Her husband is also a physician and they have two children. 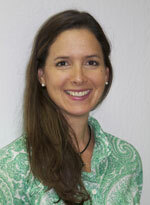 Dr. Christine Loffler – Barry is one of the co-founders of our clinic. 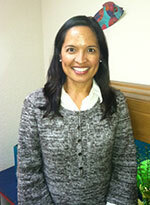 She has been practicing pediatrics in the Napa Valley since 1998. She attended medical school at the prestigious University of Navarra in Pamplona, Spain and completed her pediatric training at UMDNJ in New Jersey. Dr. Loffler- Barry completed a fourth year of training as the Chief Resident at St. Barnabas Medical Center in Livingston, NJ, and stayed for another year as a pediatric hospitalist. She is a Board Certified pediatrician and a Fellow of the American Academy of Pediatrics, a member of the Napa County Medical Society, and a member of the California Medical Association. She is trained in Touchpoints, a tool for pediatric developmental assessment, has been Chair of the Obstetrical/ Pediatric Department at Queen of the Valley and currently holds the position as Director of the Neonatal Intensive Care Unit. She has participated in the National Foundation of Celiac Awareness, works with Healthy for Life, the obesity task force in Napa, and has been featured on the local radio station, discussing latino health issues. She is married and has two children. She is fluent in both Spanish and German. Elaine Gomez is a Pediatric Nurse Practitioner (PNP) who has been caring for children since 1998 when she received her Bachelors of Science degree in Nursing from CSU Sacramento. She worked as an RN at the Sutter Children’s Center at Sutter Memorial Hospital in Sacramento. She then received her Masters and Pediatric Nurse Practitioner degrees from UC San Francisco in 1994. Prior to working in this office in 2007, Elaine worked as a PNP for over 12 years in a private practice office in Sacramento. She and her husband have 3 children. Her own children have given her insight in pediatrics as well as given her an understanding of juggling career and family.